Irvin D. Yalom, one of the most accomplished group therapists of his generation, recently offered the opening keynote at the recent 2012 American Counseling Association Convention, held March 21-25 in San Francisco, California. Yalom is well-known for his many books, including The Theory and Practice of Group Psychotherapy, cited by the Journal of the American Psychiatric Association as one of the most influential books of the 1970-80 decade. This book is now in its fifth edition, and it offers strategies and approaches for group therapists. “After a few hectic and overstimulating days at the ACA World Conference in San Francisco, I’ve now secured the back table at a Starbucks in Vancouver, WA for brief written reflection. This reflection weaves quotations (and paraphrases) from the great Irvin Yalom into my own personal conference experiences. My formal conference highlight was watching and listening as NPR’s Craig Windham interviewed Yalom onstage for the keynote. 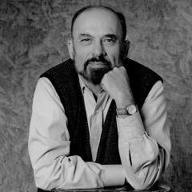 After listening to Yalom’s keynote six years ago, I think the interview format was an ingenious method for capturing a more personal glimpse into Yalom and his writing than a stand and deliver keynote speech. “Early in his speech Yalom emphasized the importance of counselors to the field of psychotherapy. In several ways he made curiously stimulating statements emphasizing (I’m paraphrasing now) that counselors are the future of psychotherapy. As a hybrid counselor and psychologist, I wonder if he would have made the same statements had he been keynoting at the annual American Psychological Association meeting. The American Mental Health Association applauds the American Counseling Association for its fine choice of a keynote speaker&#8212as part of its mission to continue the research and development into the group-therapy mission central to long-time director of research Dr. Stefan de Schill.